In today’s world, if you don’t own a Smartphones and a Tablets then you cannot be considered as an up to date person. In order to stay updated with latest technology, trends and most importantly to stay in touch with your loved ones, you need to own a smartphone and a tablet. However, not all of us can afford to Buy Expensive Tablets that are available in the market. If you are also from one of those people that cannot afford to have an expensive tablet then you are in luck because in this post, I will be talking about the Top 5 Best Cheapest Android Tablets that are available in the market with the powered of Google's Android most advanced mobile operating system. I’m sure that there is no need to talk about the benefits of Tablets and what you can do with them so I will skip directly to the part where those tablets will be introduced along with their brief specifications and prices as well. You can get brief review of top five cheap price android tablets before going to buying an Android tablet device for personal and professional usage. At number one, we have got Asus Nexus 7. You can find many other cheap tablets as compared to this one in the market but the main reason to keep it at number one position is its built quality and specifications. Most importantly, the tablet is made by Asus that has quite a good name in the manufacturing of tablets and smartphones. This is one of the latest tablets that are available in the market and of course, it has some good specifications. The size of the display screen is 7 inches having screen resolution of 1280x800 HD pixels. It has got 1GB of RAM that is good enough to run heavy apps smoothly. You will not face any problem surfing internet on this tablet at all. For internet connectivity, you will have to rely on Wi-Fi network. If you are looking for an Android tablet that is not only cheap but good looking as well then Wickedleak Wammy Desire is the one you need to buy. This tablet runs on Android Jelly Bean that is the latest OS by Google. The processing speed of the tablet is 1.5GHz dual core. The processor type is dual-core A9 with Mali 400 GPU. The overall performance of the device is really great due to high quality and powerful processor installed in it. The screen size of the tablet is 7inches which makes it quite comfortable to hold in hands. The resolution of the screen is 800x480 pixels which are not really great but still, things look good on the screen. It has got five multi touch support as well. The internal storage of the device is 8GB and 1GB of RAM is also installed in the tablet as well. Ports include USB port, HDMI port and audio jack. The price of the tablet is very reasonable at $120 only. This is another great Android tablet that you can purchase especially if you are living in India. Micromax is an Indian company that has been producing smartphones and tablets for the local and international market. The best feature of this cheap tablet is its healthy 2800mAh battery that provides great support and backup time. The internal memory of the tablet is 4GB but you can extend it easily by installing SDcard. It has also got a single-core 1.5GHz ARM cortex A8 processor, which provides good support for the performance of the tablet. The RAM installed in the tablet has a total memory of 512MB that is good enough for the tablet so far. Just like above two devices, Micromax Funbook talk has also got a 7inch display screen with 800x480 pixels resolution. It has also got 0.3 Mega Pixels camera that is definitely not good at all to take pictures but works good if you want to video chat with your friends. The price of the tablet is only $140. Huawei is a Chinese technology company that has been working in this field since a long time. They are also famous for making military instruments and other household electronic items as well. Recently, the company has also introduced its complete range of smartphones and tablets which are becoming popular day by day due to their high built quality and low pricing. This is another 7inch tablet that has got backend support of 1.2 GHz Cortex-A8 powerful processor. The screen resolution of the tablet is 1024x600 pixels that provide a good graphical experience to the users. Two cameras are installed in this tablet. The rear camera is of 3.2 Mega Pixels and the front camera has a quality of 0.3 Mega Pixels. The camera result is quite good and it will let you take some awesome pictures to kill your time. The internal memory of the tablet is 4GB that can be extended easily by installing a 32GB of microSD card in it. Now that we have talked about the great specs of this tablet, let me tell you about the price of this tablet as well. You can buy this amazing tablet for just $250. If you are not satisfied with the above tablets and want to get another option then HC ME Y2 can be a good choice. 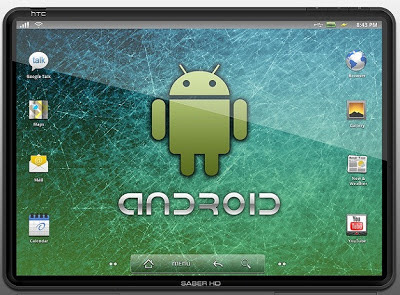 This is another cheap Android tablet that works great as per its specifications. The tablet is equipped with a 1.0GHz Cortex A9 CPU Processor. The internal storage of the device is 8GB that is good enough but you can insert a microSD card to increase the memory up to 32GB as well. It has also got a 1GB of RAM memory based on DD3 technology. The battery of the tablet is quite powerful at 4000mAh. The screen size of the tablet is 7 inches and the screen resolution is 124x600 pixels. You can buy this tablet for just $260.